Thoroughbreds training at Santa Anita Park in Arcadia, Calif. In an effort to protect horses and jockeys amid the recent spate of racing horse deaths at Santa Anita Park in Arcadia, Calif., state Sen. Bill Dodd (D-Napa) and Assemblymember Adam Gray (D-Merced) on Thursday announced plans for a thorough, joint oversight hearing on horse racing safety. 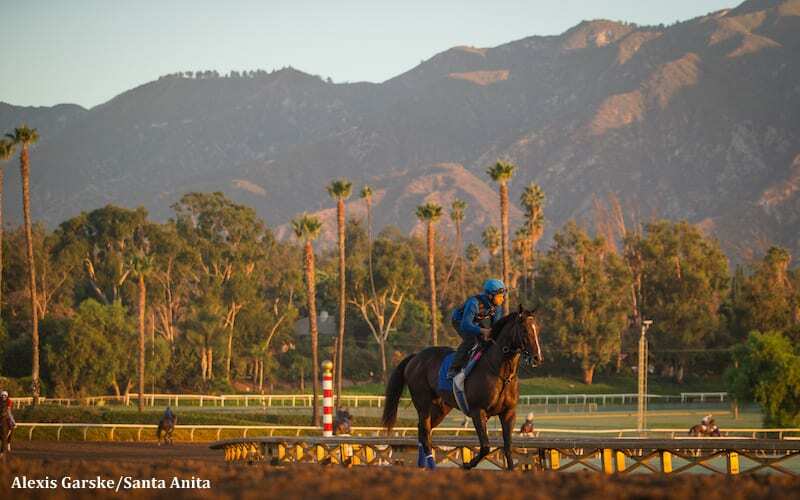 The duo also announced the introduction of new legislation to authorize the California Horse Racing Board to promptly suspend racing if dangerous conditions exist. The joint oversight hearing is expected to take place next month and will include testimony from expert witnesses highlighting the steps the industry and regulators have already taken to improve safety as well as exploring areas where more needs to be done. Dodd and Gray met with Chuck Winner, chairman of the California Horse Racing Board, several weeks ago to discuss steps the state could take to improve safety, including empowering the board to take emergency action. This entry was posted in NL Article, The Biz and tagged adam gray, Bill Dodd, california horse racing, California Horse Racing Board, chuck winner, Ed Chau, equine safety, Santa Anita deaths, santa anita park, Susan Rubio, The Stronach Group by Press Release. Bookmark the permalink.